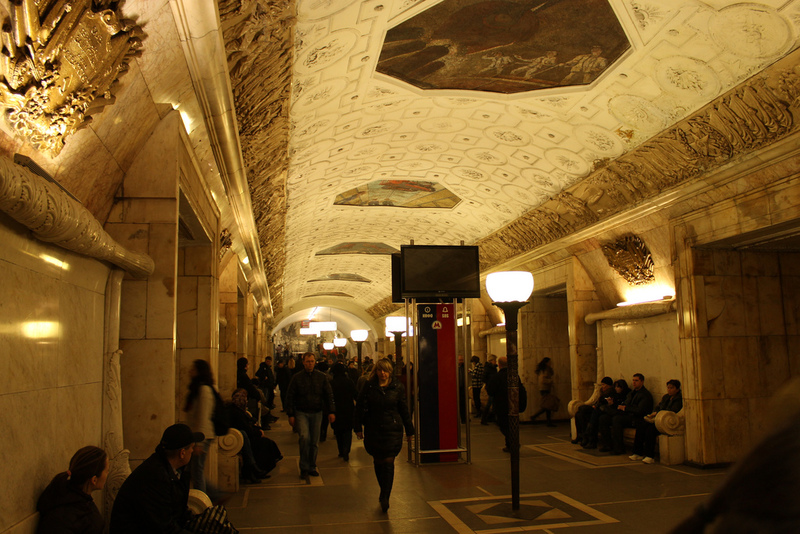 It was a relief to finally get off the train at its final stop in Moscow – nearly four days in a train cabin had made us appreciate the outside world again, even if it was below freezing. 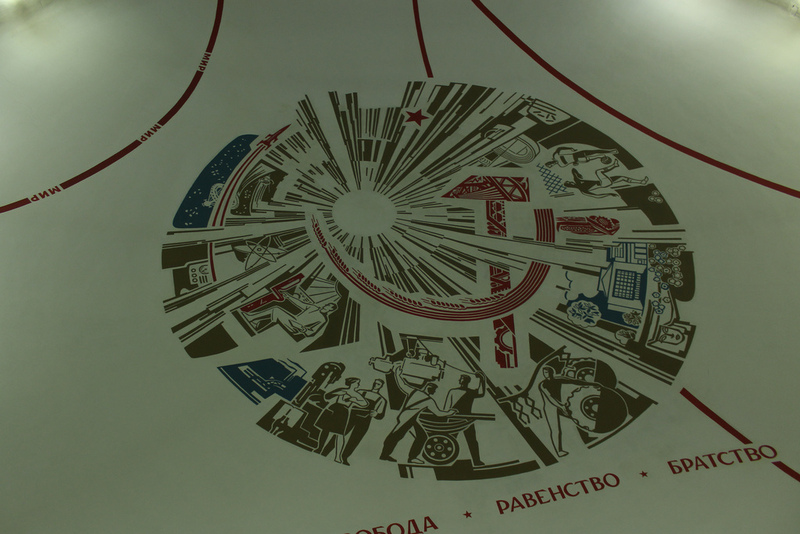 We only had three days here before heading into St Petersburg so it was a good thing that the train journey had given us plenty of time to read up on what we wanted to explore. We braved the outside for a tour of the city with a guide we hired called Lena. She took us to a nunnery founded by one of Queen Victoria’s daughters who was arrested and starved to death in prison after her husband was assassinated. 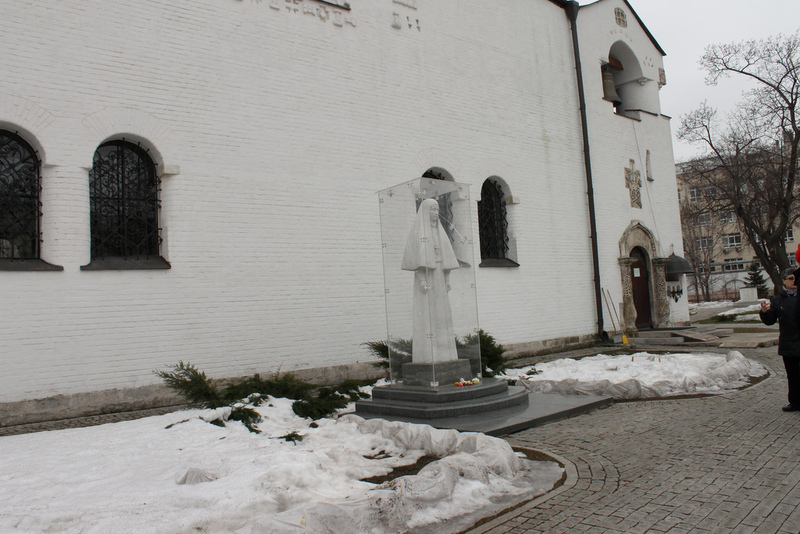 There is a statue to her outside the nunnery where people lay flowers. 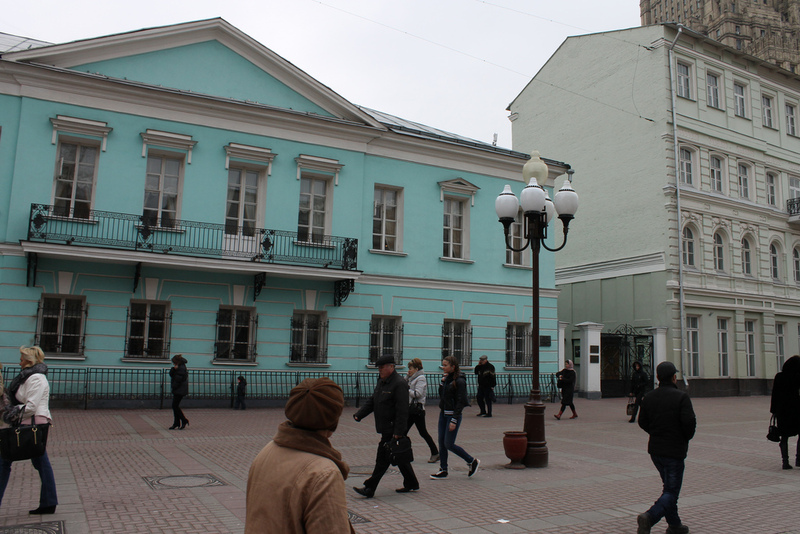 As we walked on through the streets of Moscow, towards Gorky Park, Lena told us that buildings used to be painted in pastel or ‘summer’ shades to subdue people – narrow streets were painted in lighter shades to make them feel more open whereas larger streets were painted in darker shades. 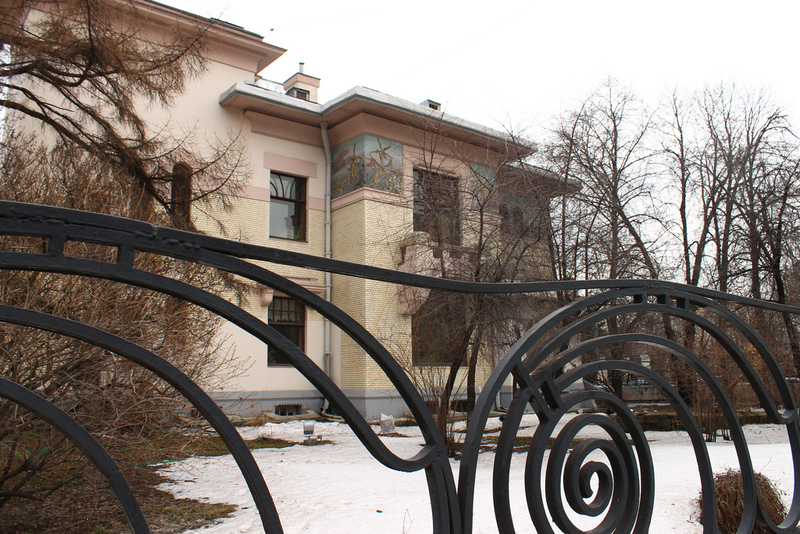 On request Lena took us to Maxim Gorky’s house or ‘gilded cage’. 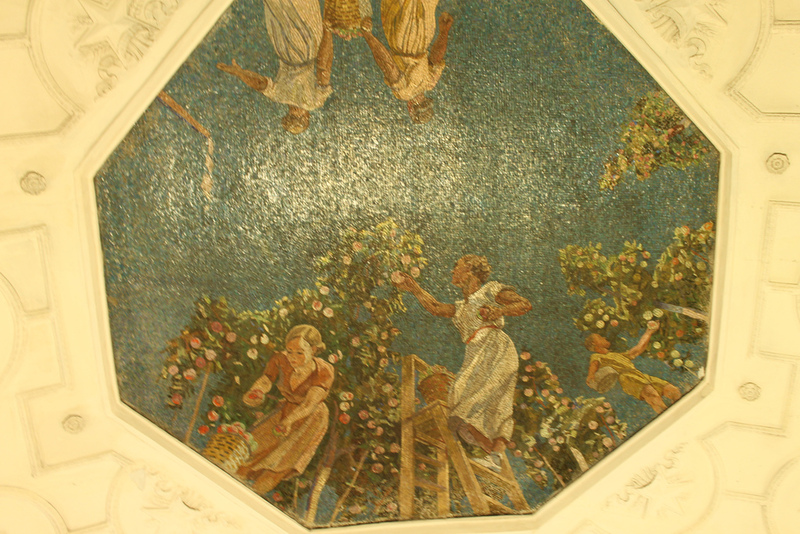 The house is elaborately adorned with art nouveau style stained glass and wooden floors but it is also rumored that the entire place to bugged by the government who were listening to his every conversation (more sinister rumours concern poisoned wall paper). Trapped in an ornate jail, it was no wonder that Gorky suffered and it was rather poignant when Lena pointed to a painting of a fragile, dying girl prominently displayed on the wall and said it was his favourite. The weather was still bitter with snow underfoot. Lena told us that in Moscow the saying goes – 5 months of Winter, 7 months of waiting for Winter or to put it another way – 9 months of anticipation, 3 months of disappointment. She led us on through the sleet to the eerie sculpture park full of old socialist statues near the river embankment. 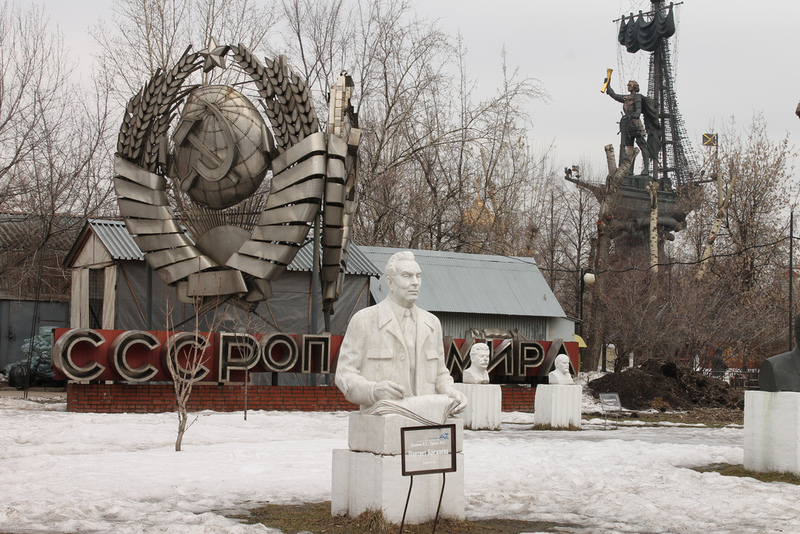 There are some Stalin-era statues here which have been clearly defaced. In the background looms a huge statue of Peter the Great, atop the mast of a ship, floating on the icy Moskva river behind. 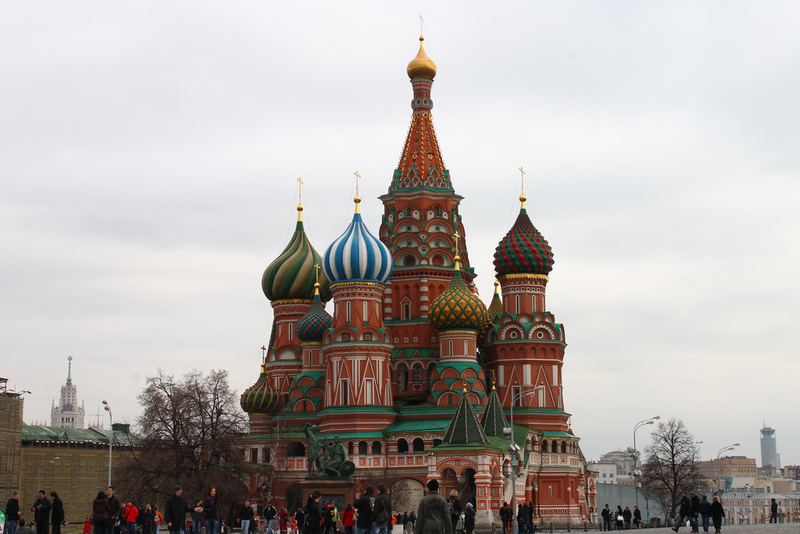 We finished the tour by the iconic Saint Basil’s in Red Square. This building reminds me of my wasted youth playing too much Tetris. These icons above the gates of St. Nicholas in Red Square were hidden in the plasterwork of the towers by whoever had been ordered to destroy them, left safely hidden behind a plaster covered metal grating for the whole of the Communist era. They were only discovered in 2010 because a man who had originally helped paint them and knew of their hidden whereabouts let his grandson know. To warm up we headed to the nearby shopping centre where the cafe no. 57 on the top floor does reasonably priced, good cafe food with a vintage theme. 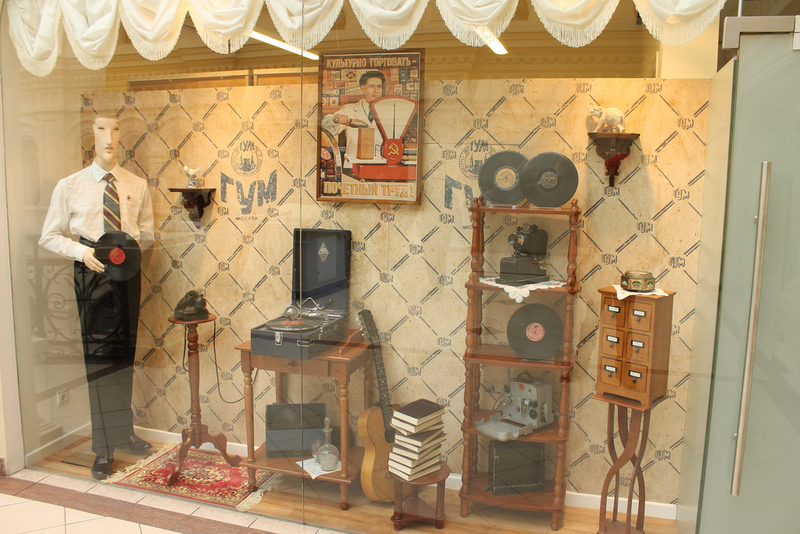 The shops are well worth an explore too for some interesting socialist memorabilia. 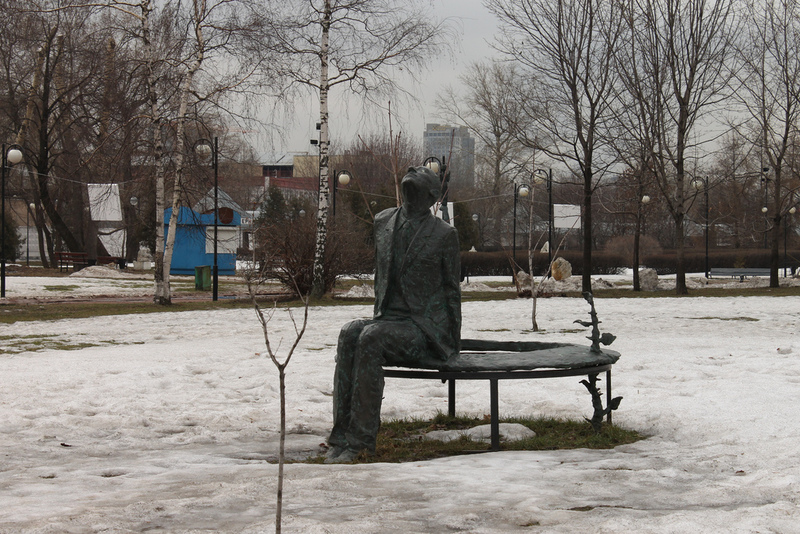 This entry was posted in Travel and tagged Gorky, Moscow, Pushkin. Bookmark the permalink.